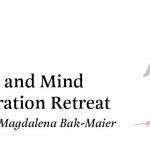 I am writing to fully endorse Dr. Magdalena Bak-Maier for the truly outstanding coaching work she did for me. The feedback and comments I received from her were absolutely helpful – critical, honest, humorous, and constructive. In fact, the interview preparations were a wonderful experience for me. Despite the thousand or so applications for ERC grants last year and the fierce competition during the interview stage, I nevertheless received the grant – £1.3 million over five years. This fantastic outcome represents a major milestone in my career, and I am very grateful for the immense support I received.